The online version of this article (doi: 10.1186/1471-2458-14-1304) contains supplementary material, which is available to authorized users. According to the literature, atypical pathogens, especially M. pneumoniae and C. pneumonia, could be considered as co-infective agents in severe pneumonia [12, 13, 14, 15], significantly enhancing the severity of the pneumonia. However, in our study, pure atypical pathogen infections played an important role in severe-ApCAP, causing more than half of severe-ApCAP cases. Co-infection with other pathogens (typical bacterial pathogens or viruses) was found in just under half of the cases. Among these, more than 50% of co-infection with typical bacteria was with Streptococcus pneumoniae. 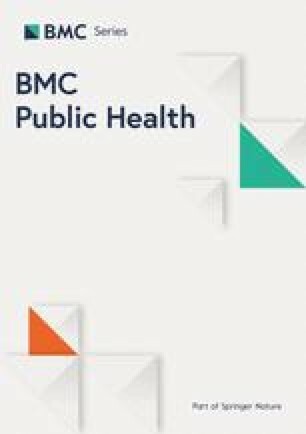 A number of published reports [16, 17, 18, 19, 20] suggest that M. pneumoniae and C. pneumoniae infections occur more frequently in children older than two years and in school-age children (older than five years). 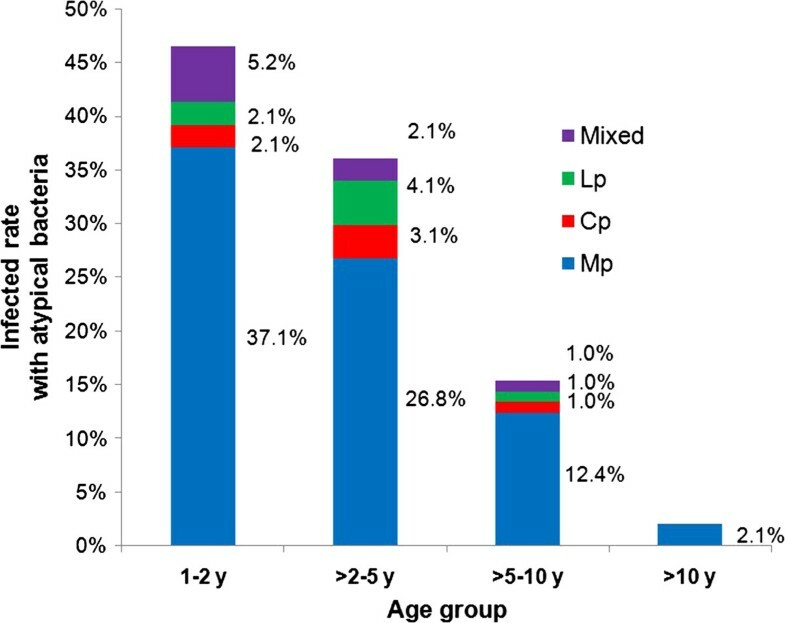 In our study population, the highest proportion of general ApCAP and of particularly severe-ApCAP cases occurred in children younger than two years. These differences by ages were statistically significant. In addition, M. pneumoniae appeared to be the most important atypical pathogen in all age groups with severe-ApCAP, compared to other atypical pathogens, especially in children younger than two years. Hence, it can be said that pure atypical pathogen infections, especially with M. pneumoniae appear to play an important role in pneumonia/severe pneumonia in young children in Vietnam. Before this study, based on published data outside of Vietnam [20, 21, 22, 23], most Vietnamese pediatricians omitted atypical pathogens, especially M. pneumoniae (causing pneumonia) in children younger than 2 or 5 years in their diagnosis and treatment. This study provides evidence for the need to revise the existing diagnostic and treatment criteria in Vietnam.